The color scheme is, sadly, not my original idea. If you follow Jeni Baker on Pinterest, she pinned my inspiration photo last night. 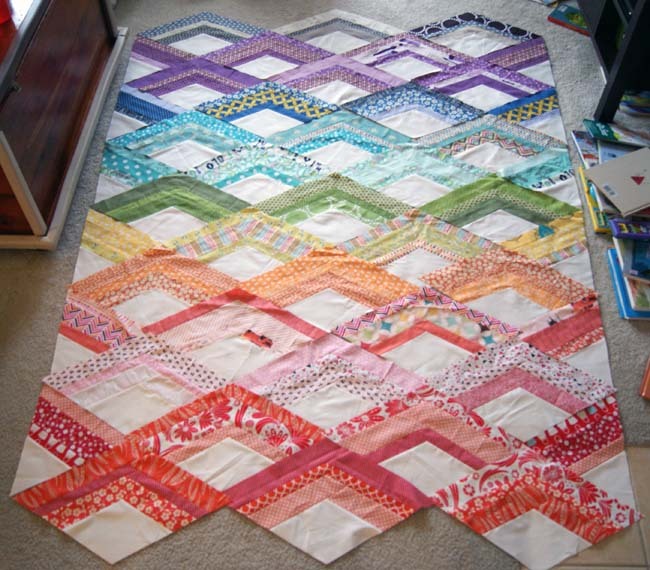 A quilter in Portland who blogs on Tumblr as Carolina Ann did her Fire Drill as a rainbow, and I needed to make a) a rainbow quilt, and b) a Fire Drill quilt, so I combined!